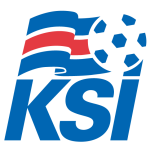 The Iceland national football team is the national men's football team of Iceland and is controlled by the Football Association of Iceland. While historically being one of Europe's smaller football nations, Iceland have enjoyed more success in the 21st century. In the qualifying rounds for the 2014 FIFA World Cup, Iceland reached the play-offs before losing to Croatia. Iceland reached its first major tournament, UEFA Euro 2016, after a qualification campaign which included home and away wins over the Netherlands. In doing this they became the smallest ever nation to qualify for a major tournament. Iceland was put in Euro 2016 Group F. After advancing to the knockout stages of Euro 2016, Iceland defeated England in the round of 16, advancing to the quarter finals. Birkir Bjarnason scored Iceland's first major tournament goal in the 50th minute against Portugal in a group stage match. In a friendly against Estonia on 24 April 1996 in Tallinn, Eiður Smári Guðjohnsen entered as a substitute for his father Arnór. This marked the first time that a father and son played in the same international match.